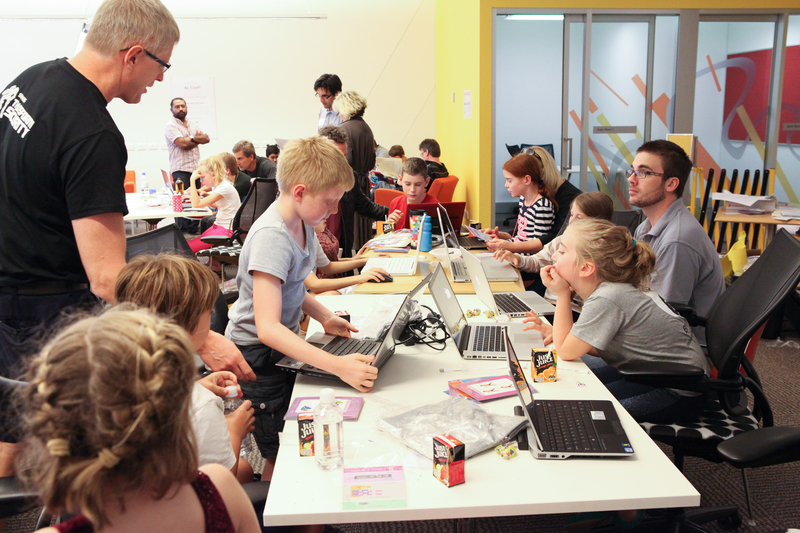 Two more sleeps till CoderDojo Brisbane kicks off at Kenmore Library!! The key to the success of CoderDojo and teaching kids to code is the support and involvement of volunteer mentors. All it takes to get involved is 2 hours of your time on any Saturday that suits you, and a passion for sharing your knowledge of coding with kids keen to learn. We generally start the kids off on Scratch and then they can diversify into areas like HTML, Python or Codea (Lua). If you want to get involved, or just come along to see what it’s all about, you can register as a volunteer Mentor here. There are also links here to the resources we use to inspire content!! ‹ Kids learning Scratch, HTML & Python!